This is not your average casino. It is a favorite casino to many due to impressive layout and the website’s speed. Players love a user-friendly platform, and Mucho Vegas casino delivers this and much more. The Mountberg limited casino established it in 2016. Though it does noes have all the games available in other casinos, you cannot feel left behind since there is a lot to learn from the casino. Different software developers are behind its progress. They power the casino and avail more than 900 slots for you to enjoy various games. 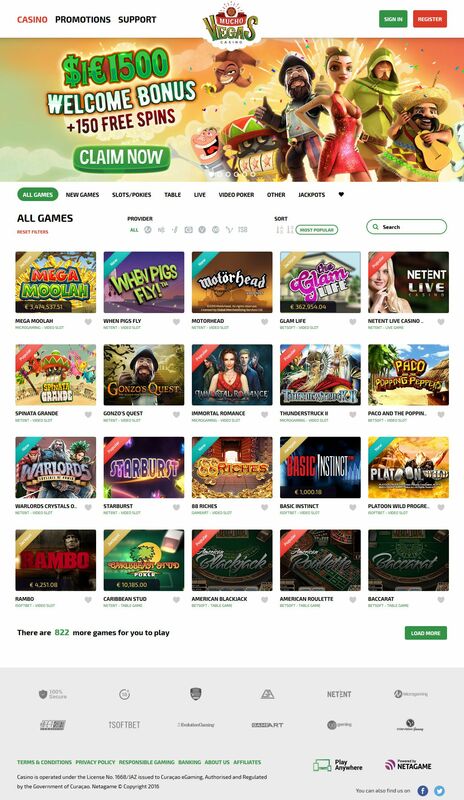 Some of the developers include Microgaming, iSoftBet, NetEnt, Betsoft, Pragmatic play, and Oryx. They have also ensured that the site can support mobile devices for you to enjoy your game even when you are traveling. Take a look at the different game categories at Mucho Vegas casino. They offer virtual games such as Glam life slot, Motorhead slot, and spinata grande slot. Feel free to track the current games you want to play again using the search function. The sorting options make it easy for you to get any information you desire from the platform. Table games such as Pirate 21, Single Deck Blackjack and European Roulette are also available. If you love video poker, you can explore games like the double joker and Bonus Poker. Feel free to play live at any time from the Mucho Vegas casino. 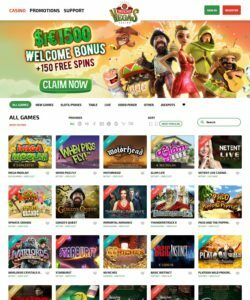 For you to start playing, you must join the casino and deposit a certain amount. It provides different payment options such as bank wire transfer, Visa, MasterCard, Neteller, Playsafe card. Skrill and Zimpler. You can also withdraw your wins using visa, Neteller and Skrill. It also provides different currency options which increase convenience for most players. What makes Mucho Vegas casino stand out from the rest is that you don’t incur any additional costs during these financial transactions. They also use an encryption system to protect your card details. You will easily access all the financial options on a dedicated banking page. Since they are not concealed within site, it eliminates the need for registration for you to review them. The Curacao gaming commission licenses the casino. The website provides an FAQ page for you to find answers to any questions you may have regarding the casino. They also offer live chat support which provides different languages for customers. Unfortunately, they don’t provide a phone line for you to call the agents directly. It is undeniable that Mucho Vegas casino has a lot to offer its customers. The bright graphics are impressive. Though you can play the games on your smartphone, you may not be able to access some of the games. We wish that the site arranged the games alphabetically to make it easy for users to navigate.